I’ve always been the sort of person who cannot resist picking up small, interesting objects. Conkers, for instance. Shells on the beach, sea glass, striped or colourful pebbles. Last year, we had some shingle delivered for a landscaping project in the garden, and straight away I was poking through it for pieces that begged to be picked up and examined more closely. Round blackish stones that resembled musket balls, or fragments of golden flint like splintered toffee. Sometimes it’s the colour that attracts me, or just a shape that fits my hand. Smooth and sun-warmed, with a pleasing curve; some objects practically ask to be stroked, cradled, their outline traced with a fingertip whilst my imagination runs riot. I’ve been like this since I was a kid, and the compulsion to touch these things is very similar to the grasping reflex of a small child. It’s purely instinctive. When I was growing up, a family friend was into rock tumbling as a hobby, and gave me a bag of mixed stones: amethyst, jasper, carnelian, agate and the like. I was fascinated by the shapes and colours; I saw landscapes in them, archipelagos and forests, sunset clouds and deep, silent pools. I knew the names of the different types of stones, and could tell anyone who asked that Apache Tears were actually volcanic glass, you know. Thirty-five or so years on, long after the original tumbled stones were “put away” (parent-speak for “thrown out”), just writing about them has got me looking up the prices of rock tumblers and grit online. The appeal of cool, smooth stones in my hands, with patterns that tell stories, is as strong as ever. 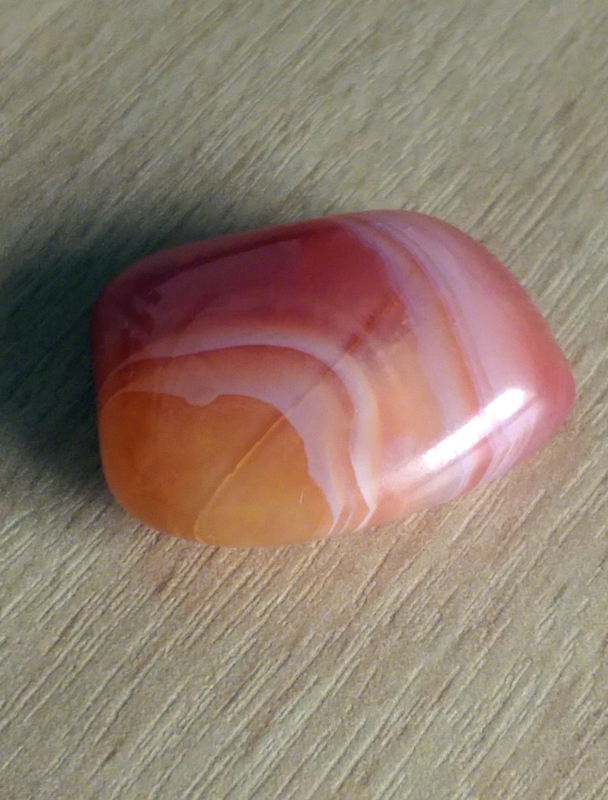 Anyway, as I got a bit older, I discovered marble eggs. They were, at the time, A Thing in home décor, usually displayed in a bowl turned from the same kind of stone. 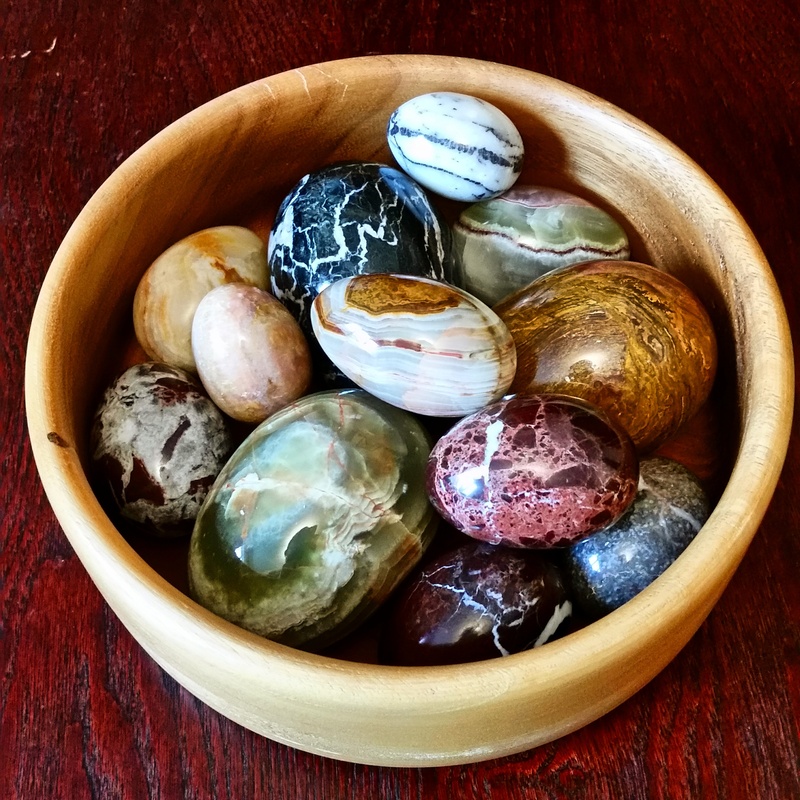 To me, they were just bigger, heavier versions of the tumblestones of my youth, so naturally I started collecting. Not indiscriminately; I only selected those specimens whose patterns spoke to me, for want of a better description. They resonated with me in a way I could never adequately describe, without sounding like some kind of New Age harnessing-the-power-of-gems fruitloop. While visiting an old schoolfriend in Plymouth, I ended up in a fascinating little shop in the Barbican, called Odd ‘n’ Interesting. They had a whole bunch of worked stones, semi-precious and mineral eggs, geodes and so forth, though I couldn’t tell you a thing about the rest of their stock. All I remember is the stones. 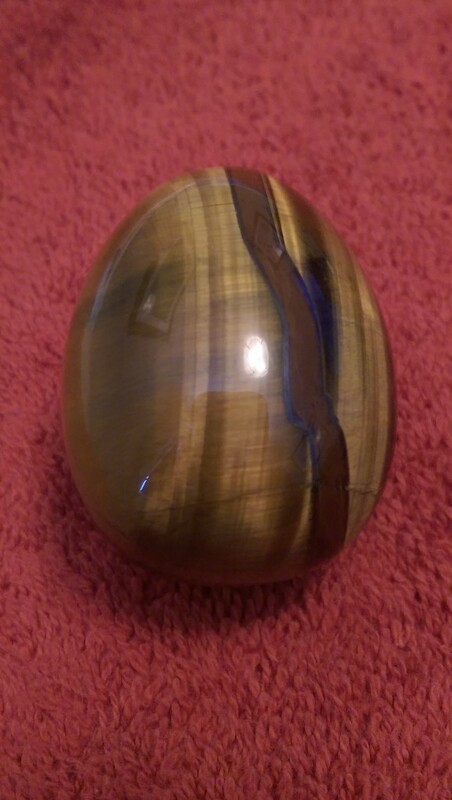 That was where I found this solid tiger’s eye egg, and I knew the instant I saw it that I had to have it. Had to – never mind the price. 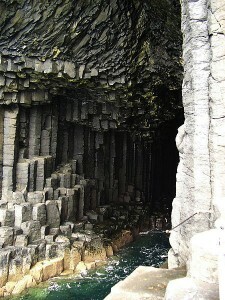 This stone wasn’t just resonating, it was ringing like a damn tuning fork, in a manner of speaking. So home with me it came. Seriously, this photo does not do it justice. Tiger’s eye is what’s called a chatoyant stone, because the bands of lustre caused by inclusions in the material resemble the shimmer in a cat’s eye. Even its flaws are endlessly fascinating. The egg-shape is also pleasing to hold, to roll around in your palm like baoding balls: not too small, not too large. I kept it on my desk because it was beautiful to look at and I couldn’t stop picking it up, and gradually it became a kind of meditation object. Something to keep my hands busy whilst I was thinking (it also stopped me biting my nails). And lo, the thinking stone was born. For the record, I don’t subscribe to all that healing-with-crystals malarkey. I don’t believe there is anything mystical about this stone that will grant me deeper insight or bring balance and harmony to my life. I just know that it’s beautiful, and that handling it is soothing, especially when it’s warm – it has some interesting thermal properties, I have to say: even in winter, it’s never completely ice-cold. Make of that what you will. So that’s my thinking stones, and another peek into what passes for my mind. I never promised it was going to make sense. One of my earliest memories is of listening to music. On Sunday evenings, to lull me off to sleep, my parents used to leave the radio playing just outside my bedroom door, tuned in to a programme called “Your Hundred Best Tunes”. It featured popular classics, like Morning from The Peer Gynt Suite, and the largo from the New World Symphony, forever to be known in the UK as “the Hovis music” after an inspired television commercial for bread. That radio programme was my introduction to classical music. 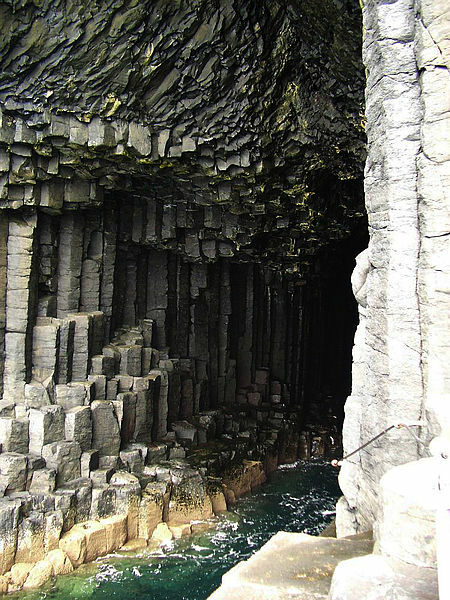 Long before I knew the names of the composers, I recognized the pieces by the pictures they painted in my head: the surging surf of Fingal’s Cave, Night on a Bare Mountain with its witches’ sabbat, and the gilded curlicues of The Arrival of the Queen of Sheba. Through music I began to explore the landscapes of my imagination, as the pictures prompted questions of who and where and why, and from those seeds, stories grow. When I’m writing, I almost always have music playing. There are sound practical reasons for this: it blocks out ambient noise that would otherwise distract me, such as the school playground across the road, and creates an aural bubble in which I can focus utterly on what I’m working on, but there are other reasons too; reasons which are equally practical, if a little more ephemeral. On those days when the creative fires prove difficult to ignite, music provides an extra spark. Whether it’s a mood or a mountain range I’m trying to invoke, the right piece of music can serve as a prompt – and sometimes takes me somewhere I wasn’t expecting. It doesn’t always have to be a classical piece, either: sweeping movie soundtracks, rock, country, any genre you like. If you put my mp3 player on random, it’s entirely possible to segue from AC/DC to Crouching Tiger, Hidden Dragon via Thomas Tallis and Nina Simone, and I’ve found a use for all of them at different times as my stories unfold. Certain pieces of music also have the power to evoke profound emotional responses, which I can use when I’m tackling a scene that goes beyond my own experience. It’s all very well saying “But you’re a writer, surely you just use your imagination?” but if I want the reader to feel what my character’s feeling, the words have to come not from dispassionate choices made in my head, but from deep inside. I’ve never knelt in the rain with my first love dying in front of me, but start playing the adagio from the Concierto de Aranjuez and I’m there, in that moment, and yes, I’m sobbing my eyes out. Music has power. Music, to me, is very close to magic. 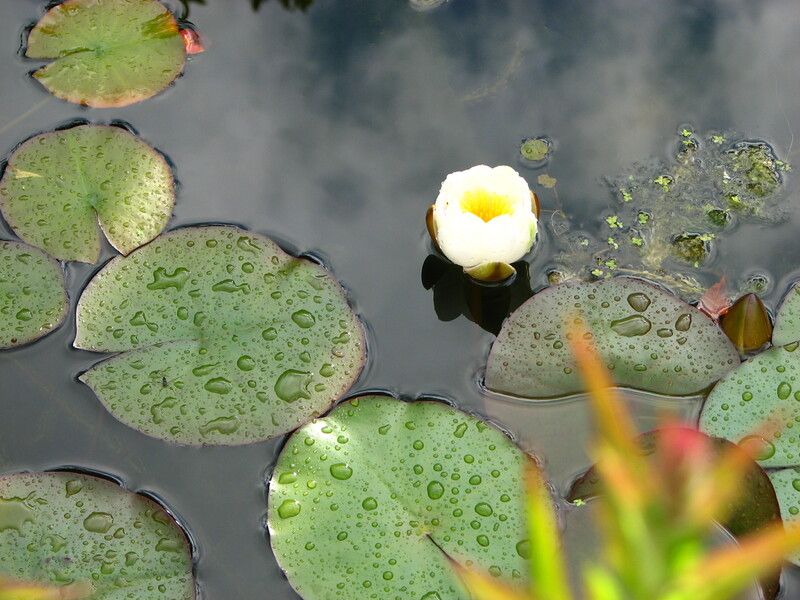 Standing in my garden one summer’s morning, with the sun barely up and the dew still sparkling on the plants, I thought for a second that I could hear the flowers grow. In that moment of whimsy, I heard the songs of the earth, and learned the name of the music Gair heard in the dark as he waited for his sentence to be handed down. With that, another story took flight. And if that’s not magic, I’m not sure what is. This piece was originally written for my German publisher to promote me as a new writer. I stumbled over it when doing some housekeeping on my PC, and thought it deserved another airing.